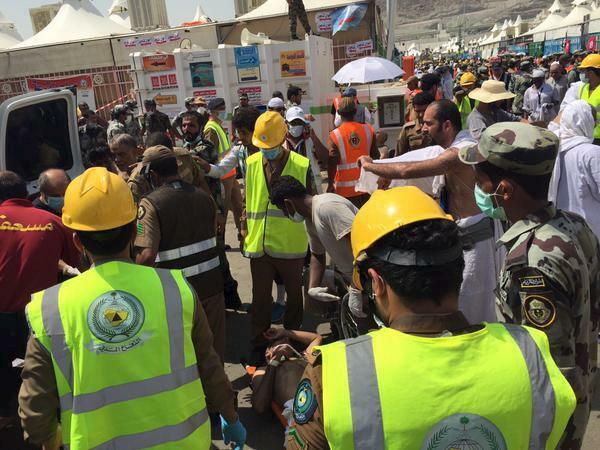 MAKKAH – The death toll in a crush outside Makkah on Thursday has risen to 769, Saudi Health Minister Khalid al-Falih said on Saturday. “The latest statistics up to this hour reveal 769 dead. That is an increase of 52 on the previous figures,” Falih told a news conference. “Those are the ones who died in various hospitals since the event,” he said, adding that 934 people were wounded. Meanwhile, UK newspaper The Guardian has claimed that 236 Pakistanis have been martyred in the Mina tragedy. The Foreign Office has taken notice of the report of the British newspaper.